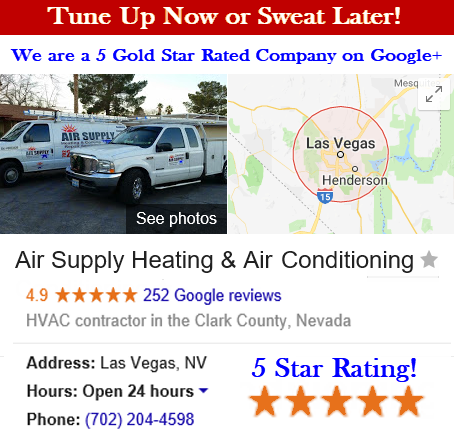 Air Supply Heating and Air Conditioning of Las Vegas, NV is a full, service HVAC system contractor, extending our services to commercial and residential customers locally and in surrounding areas. We are completely licensed and insured to offer our professional expertise at prices you can afford. 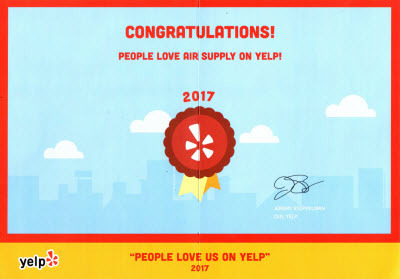 At Air Supply Heating and Air Conditioning, we know that our valued customers are our greatest asset, which is why we do more than deliver superior workmanship. We include family-friendly customer service, exceptional work ethics, high moral standards and traditional values to ensure your continued experience with us is always phenomenal. 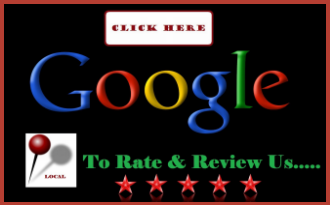 Our technicians are the best in the business, having been masterfully trained, accumulated years of experience, and apply their incredible skills. 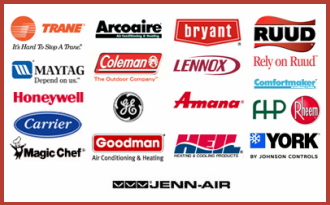 Air Supply Heating and Air Conditioning uses high-end products and equipment exclusive to licensed professionals to ensure our customers receive nothing less than maximum results. Because Air Supply Heating and Air Conditioning uses only premium grade products, we are happy to offer the top appliances for commercial businesses and residential homes throughout the Las Vegas, Nevada Valley. Our spotlight is the CZH Air Conditioner YORK® Affinity™ Series. The ENERGY STAR® performance keeps you cooler for less energy cost with up to 18 SEER (Seasonal Energy Efficiency Ratio) offering maximum energy efficiency. The U.S. Department of Energy uses the SEER as a measurement to guide consumers that want to conserve energy and operating costs with the air conditioners and heat pumps they install in their home or business. As the Most Efficient of ENERGY STAR® 2016; the CZH024 and CZH036 models are one of the top recognized when used with the Affinity™ Residential Communicating Control. CZH Air Conditioner YORK® Affinity™ Series features a two-stage compressor that provides quiet and efficient operation. QuietDrive™ system silences vibrations with swept wing fan and composite base. It includes premium warranties to guarantee years of dependability with industry-leading quality. With the use of the fine split cooling technology, the comfort level in your Las Vegas home or business is raised and the two-stage compressor adjusts cooling levels to match the degree of comfort most ideal to you. CZH Air Conditioner YORK® Affinity™ Series also includes sound enclosure and composite base with the Advanced QuietDrive™ Sound Reduction with swept wing fan. With the CZH Air Conditioner YORK® Affinity™ Series homes and business of the Greater Las Vegas, NV area can reap the benefits of energy savings with this advanced high-efficiency model. As previously mentioned it has up to 18 SEER providing you with more cooling for less money. The two-stage compressor contributes to minimizing the power consumption, which cuts the electricity costs by nearly 44% in comparison to the older 10 SEER models. For even temperatures and energy savings use the Affinity™ Wi-Fi Residential Communicating Control. In addition to having quieter operation and highly efficient power consumption, the CZH Air Conditioner YORK® Affinity™ Series has built-in protections and certified safeties. The internally protected compressor withstands high temperatures and pressures to assist in safe operation. In an effort to safeguard the exterior of the unit a more durable finish is used to maximize protection from all degrees of weather conditions. The coils are equipped with a barrier from debris and other potential damaging materials with a rugged, stamped metal guard. If you have any questions regarding the CZH Air Conditioner YORK® Affinity™ Series, contact Air Supply Heating and Air Conditioning of Las Vegas to help you. We can assist you with obtaining this air conditioner and get it installed quickly and efficiently.